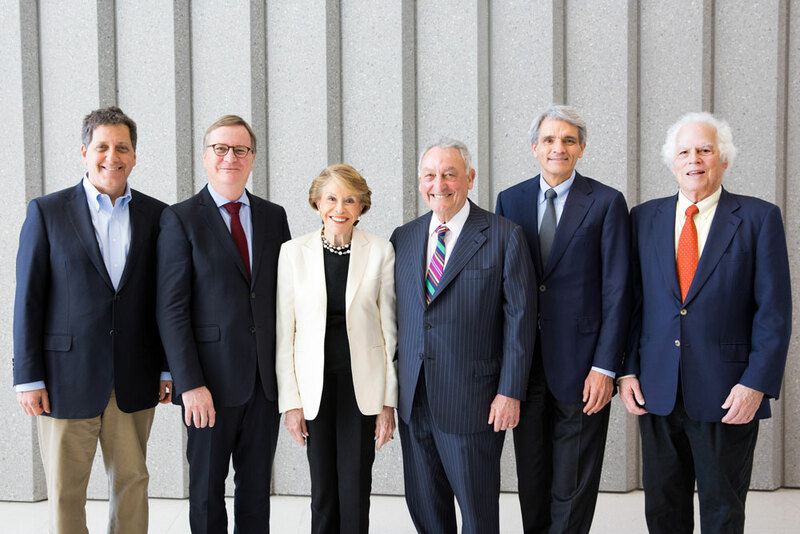 On April 26, 2016, UCSF announced the establishment of the new UCSF Weill Institute for Neurosciences, made possible by a $185 million gift from the Weill Family Foundation and Joan and Sanford I. “Sandy” Weill. Biographies, images and video b-roll related to the UCSF Weill Institute are available on this page. Joan Weill is a tireless supporter of cultural, philanthropic and civic endeavors, and commits a great deal of her life to public service and education. She worked as a volunteer in the psychiatric ward at Bellevue Hospital in New York City for 2 years; served as president and board member of Citymeals On Wheels; and was a member of the executive committee and on the board of Women in Need. She is the past chair of Paul Smith’s College of the Adirondacks, having helped spearhead the College’s transition from a 2- to 4-year institution. Mrs. Weill served as chair of Paul Smith’s College for 5 years and was on the board for 20 years. She is co-chair of the Advisory Committee of the Weill Music Institute at Carnegie Hall, which promotes music education in classrooms around the world, and serves as vice chair of the Board of Advisors of Weill Hall and the Green Music Center at Sonoma State University. Mrs. Weill is chair emerita of the Alvin Ailey Dance Foundation, having served on the board for 20 years, 14 years as chair. She remains on the Ailey board and is widely acknowledged as a driving force in the growth of the entire Ailey organization over the past two decades. Her dedication to women’s health issues led to her appointment as co-chair of the New York Presbyterian/Weill Cornell Medicine’s Women’s Health Symposium. She has received honorary degrees from Paul Smith’s College; Purchase College of the State University of New York; Bank Street College of Education; Fordham University; and Sonoma State University. Mrs. Weill is a graduate of Brooklyn College, majoring in education with a minor in psychology. Over the course of a five decade career, Sandy Weill was chairman and CEO of Shearson Loeb Rhoades; president of American Express; chairman and CEO of Travelers Group; and chairman and CEO of Citigroup. In 2014, he was named to CNBC’s “First 25,” a definitive list of 25 people around the world who have had the greatest influence in business over the past quarter century. He is a former director of the Federal Reserve Bank of New York, and has served on numerous corporate boards, including Hamilton Insurance Group (chairman); United Technologies; AT&T; and E. I. Du Pont De Nemours and Company. Mr. Weill was the recipient of Financial World magazine’s CEO of the Year Award in 1998, and received the same honor from Chief Executive magazine in 2002. He retired as chairman of Weill Cornell Medicine after 20 years and is now chairman emeritus. He also retired as chairman of Carnegie Hall after serving in this capacity for 24 years, and is now president. In addition, Mr. Weill is founder and chairman of the National Academy Foundation (since 1982); chairman of Weill Hall and the Green Music Center at Sonoma State University; chairman of the Lang Lang International Music Foundation; and Chancellor’s Advisory Board member at University of California, Davis. He is a member of the American Academy of Arts and Sciences and has received honorary degrees from Bank Street College of Education; Howard University; Hofstra University; the University of New Haven; Sonoma State University; and the Technion–Israel Institute of Technology. Mr. Weill is a graduate of Cornell University, majoring in economics and government. 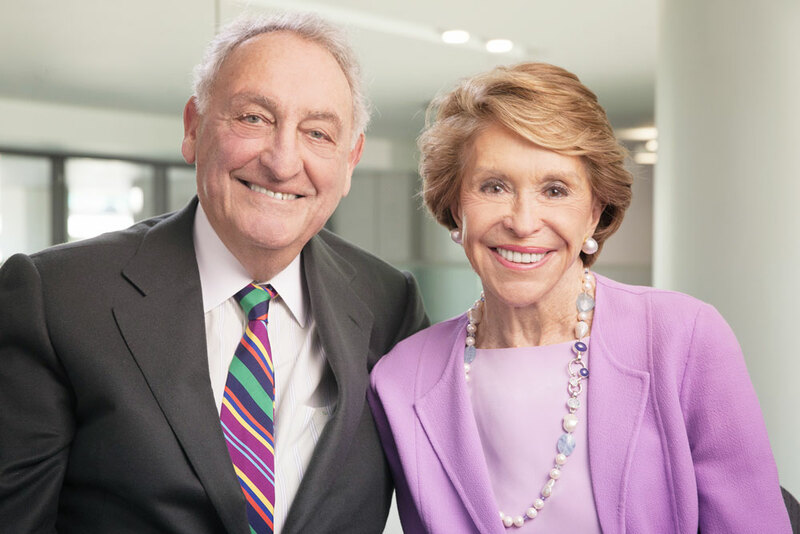 Joan and Sandy Weill will celebrate their 61st wedding anniversary in June, 2016. Access a library of images related to the UCSF Weill Institute announcement. Sanford I. Weill and Joan Weill. Joan and Sanford I. Weill surrounded by UCSF leaders in the Neurosciences, from left: Matthew State, MD, PhD, Chancellor Sam Hawgood, MBBS, Stephen Hauser, MD, (second from right) professor and chair of Neurology, and Nobel laureate. Access a library of UCSF neuroscience-related b-roll footage.